Founded in 1670, Charleston is one of the oldest cities in the United States. 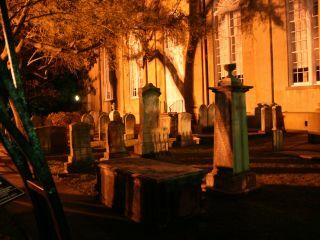 With such a long and rich history, you can imagine Charleston is scattered with plenty of graveyards, dungeons and haunted buildings. Both locals and tourists have often spoken of seeing ghosts wandering around Charleston. If you like all things haunted and are interesting in seeing a ghost when you stay at our historic Charleston hotels,check out these ghost tours. When the sun goes down there’s plenty of fun to be had at Charleston area sports bars, pubs and taverns, many of which also double as a dinner spot with great reputations for both top food and happening nightlife. 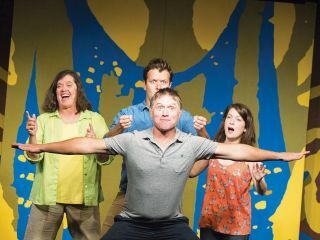 You can pop around from bar to lounge or gather with friends, family, and co-workers at one of Charleston’s dance clubs or live music venues. 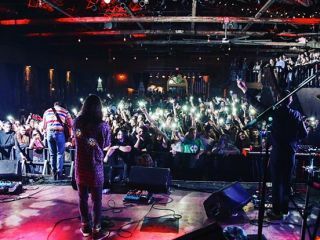 Areas such as historic Market Street, King Street, Broad Street, and East Bay Street all have plenty of drinking establishments and other nighttime haunts if you’re looking for a night out on the town. Historic Charleston occupies a peninsula that juts into Charleston harbor where the Ashley and Cooper Rivers meet to form the Atlantic Ocean. Charleston is perennially ranked by leading travel media as one of the top U.S. destinations alongside hubs such as New Orleans, San Francisco, and New York City. From the Pineapple Fountain in Waterfront Park to the amazing homes of Rainbow Row, the dazzling beauty of the city’s architecture is reason enough to visit. 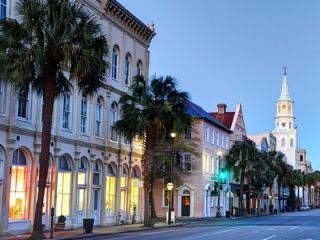 Add to that the importance of historic Charleston in the storied history of the United States and all the amazing things to do in Charleston and this is absolutely a “must-see” destination. With more James Beard Award-nominated chefs than any U.S. city outside of New York, you can easily find a great meal in this highly epicurean town. The “farm-to-table” movement has been important in perpetuating and evolving the indigenous culinary traditions that trace their roots back to the original settlers from Western Europe and Northwest Africa as well as some influence from the Caribbean. 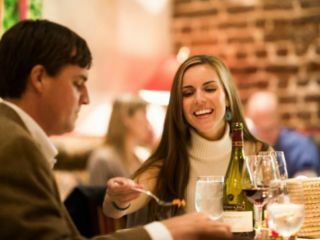 Whether you’re looking for upscale cuisine, downhome Lowcountry cookin’ or anything in between there are restaurants to suit every palate in near proximity to this downtown Charleston hotel. 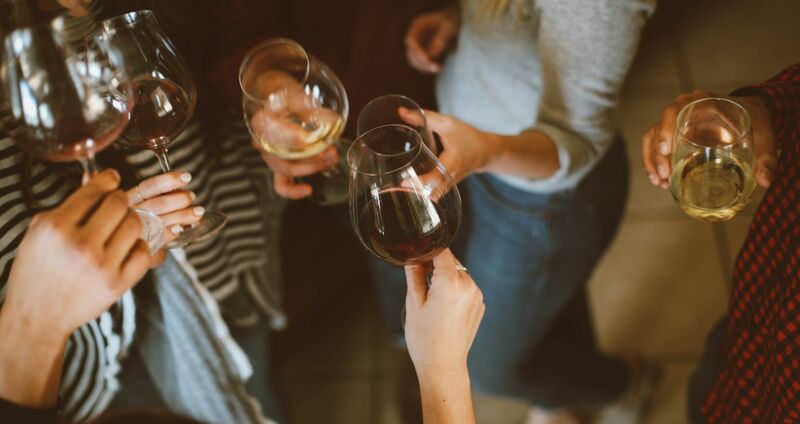 A fine glass of wine, artisanal brews, and creative cocktails flow freely in the lounges, bars, and pubs — and you can have that second or third round without concern as your luxury accommodations at the Andrew Pinckney Inn are just around the corner or just down the street. Please see the concierge for recommendations or help with reservations. 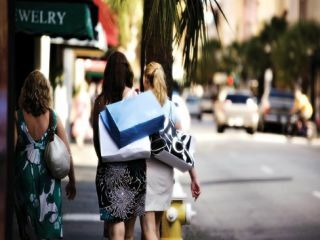 Downtown Charleston hotel the Andrew Pinckney Inn is within walking distance to King Street, recently named one of the country’s ten best shopping streets by US News & World Report. King Street is home to local merchant families that have done business in the area for well over a century and there’s also an amazing selection of some of today’s most luxurious brands including Louis Vuitton, Gucci, Lacoste, and many, many more. Market Hall — built Circa 1841 — stands facing Meeting Street as the main entrance to The Charleston City Market, four blocks of open-air buildings originally used by the Market Commissioners for meetings, social functions and rental space. Through the years, the sheds have survived many disasters, including fires, tornados, earthquakes and bombardment. 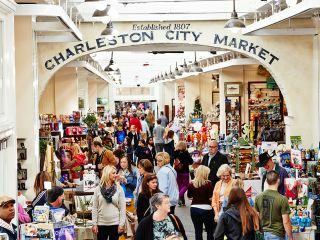 The City Market is one of the oldest in the country and is significant enough part of historic Charleston to be included in a permanent exhibit entitled “Life in Coastal South Carolina c. 1840” at the American History Museum of the Smithsonian Institute in Washington D.C. Since the 1970′s, the original sheds and the areas opposite the Market on both sides have housed many small and unique shops, each with its own flavor, history and character. Some of the products featured include locally crafted sweetgrass baskets, clothing, artwork, jewelry, local souvenirs, perfumes, food, and other gift items. The City Market saw its most recent renovation in 2011, enclosing the building and providing central heating and air.